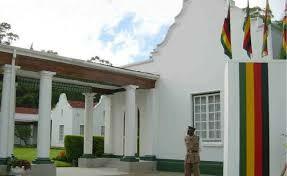 A bogus Central Intelligence Organisation (CIO) officer stormed State House and demanded to directly drop unidentified documents to President Emmerson Mnangagwa, a Harare magistrate heard yesterday. Marshall Chirombe appeared before Harare magistrate Rumbidzai Mugwagwa charged with impersonation. Mugwagwa remanded Chirombe in custody to December 19 and ordered that he be examined by a psychiatrist. Allegations are that on December 4 and at around 8pm, Chirombe drove his Toyota Wish registration AEM 0668 along Chancellor Avenue and arrived at the north boom of the State House. He identified himself as a CIO officer to one Constable Njerere who was manning the gate and that he was in a hurry to deliver some documents to Mnangagwa. Knowing that Mnangagwa was not at State House but at Zimbabwe House, the court heard that Njerere removed the spikes and allowed him to drive through. The court heard that Chirombe drove through and proceeded to the State House and upon arrival at the State House Westgate, he hooted for attention. It is alleged that one Constable Soka attended to Chirombe who proceeded to introduce himself as Brigadier General Mashall sent by Mnangagwa to collect some documents on his behalf. The court heard that Chirombe was asked to produce his identity card and failed to do so.